Untether Your Nail Gun With The HipShot Math Is Like…Hard? 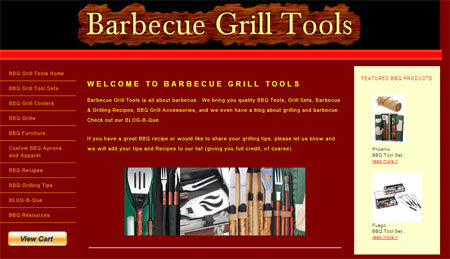 They offer a few high-brow sets of tools as well as some basic sets that just get it done. Once you’re good to go with the tools, they also carry a ton of grill-related gear you can get into — though we must admit, the “cooking food and good tools” part has been the focus for us. Tool sets range from $20 for a three-piece set with a BBQ spatula, fork, and tongs, to a $70 natural wood set with spiffed-out carrying case and a few extra tools. It’s not for everyone — but with Father’s Day coming up, just keep it in mind. or you can just swing by sears and pick up a sweet craftsman bbq set that conveniently matches the rest of your garage.